Rated one of the top craft beer spots in Asia, Hair of the Dog offers a new, raw beer experience with 13 rotating taps and dozens of bottles from around the world. 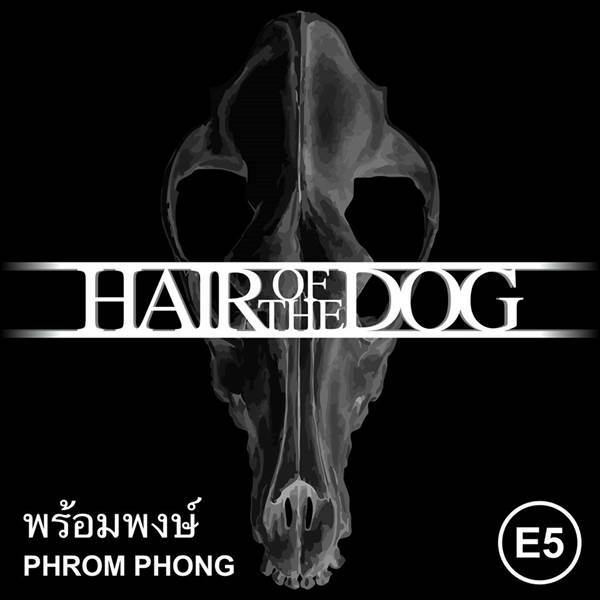 With locations at Mahatun Plaza Phloen Chit BTS and Sukhumvit 33/1 Phrom Phong BTS, Hair of the Dog is ideal for locals, tourists, office workers, expats and embassy staff. All our products are hand-picked and paired with friendly service that focuses on making beer accessible to everyone from first time drinkers to hardened craft beer lovers. Our staff are versed in all things beer, including styles, history, brands and brewing, to offer an experience that is equal parts epic, educational and enjoyable. Simply put, Hair of the Dog is beer badassery at its finest. Hair of the Dog is the brainchild of one of the founders of Mikkeller Bangkok (Mike MacDonald), and its former tapmaster (Pete Spalding).